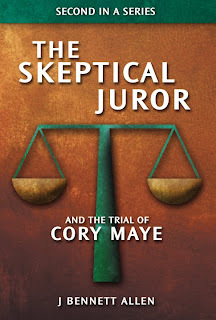 The first few reviews for The Skeptical Juror and The Trial of Byron Case were from early readers and Byron Case supporters. The single adverse early review was from a friend of the victim's family. The last five reviews have been from people we know nothing about. We are therefore pleased that the later reviews are all favorable. We attempt to learn from the criticisms, whether they be explicit or implied. We want each book to be better than the previous. While that may be difficult to do over a series of 10 books, it should be an achievable goal for the second in the series. As it turns out, we have just submitted the second in the series to Amazon in Kindle format. It should show up within a week, though we may have to interate with the formatting. The print version should show up on Amazon in two or three weeks. I've included the cover as an image in this post. Once that cover appears along the right hand sidebar, you will know that it's available for purchase. Most Recent Reviewer Aeon Flux found the first part of Case to be slow. We agree. The biggest challenge we have had with the series is presenting the trial itself in an entertaining fashion while maintaining the integrity of the testimony. We got part way there in Case, and we think we are a few steps closer in Maye. Aeon Flux also thought some of the humor was questionable and some of the asides were distracting. We agree. We have toned both down in Maye. Aeon Flux thought Case picked up steam in the jury deliberation. We agree. That's why we start Maye in the jury room. That idea came from The Skeptical Spouse / Skeptical Editor, and it seemed strange at first. I now think it was a spectacular idea. After completing the third part of Case, The Aftermath, Aeon Flux had a hard time getting over the anger at how it all turned out. We agree. We caution, however, that the last part of Maye, The Alternate Scenario, is no more likely to be soothing. Aeon Flux was frustrated that the ending lacked a resolution. We agree. Welcome to real life. Hopefully there will be a happy ending for both Byron Case and Cory Maye. Maye is certainly well represented, and the Mississippi Supreme Court has agreed to hear his case. With respect to Case, we have a longer row to hoe. I don't write of his legal situation because it's best at this point if I do not. Aeon Flux mentioned The Skeptical Juror's prediliction for hot dogs and diet Mt. Dew in Case. Flux will be happy to know that Funyuns and Mr. Pibb each make a guest appearance in Maye. 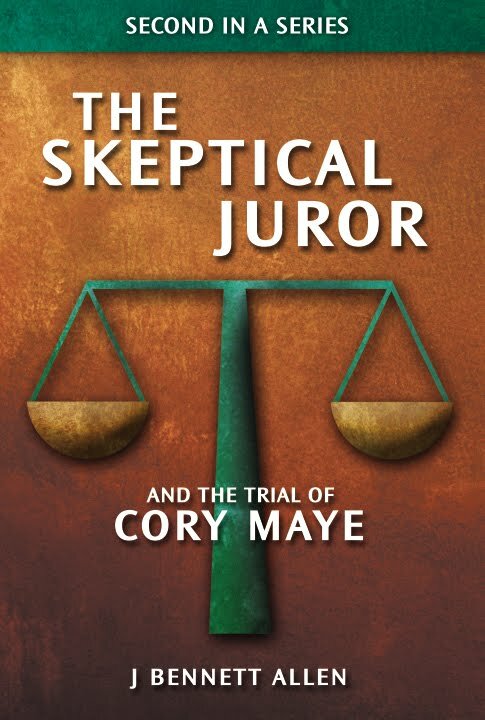 Now without further ado, I offer the lastest Amazon review for The Skeptical Juror and The Trial of Byron Case.